Thread: What is the average cost of a dedicated server? I want to set up a website for my small business, basically not expecting too much traffic but the general consensus has been against shared servers. I need to get an idea of the cost of having a dedicated server? 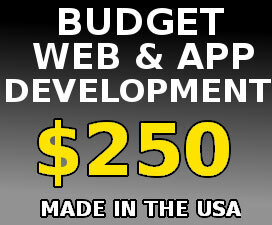 Including upfront costs and monthly fee. Dedicated Server costs vary greatly. Anywhere from ~$50/mo to ~$1,500/mo with the average being around $150-$200/mo. It all depends on what resources you need, and how reliable you want it to be. The first thing you need to consider is how much CPU, RAM, Drive space, Bandwidth you need and if you need a unmanaged or managed server. This will let you know what to look for and you can start shopping around. The next thing you need to consider is how reliable you need it to be. There are several places where you can find servers for cheap. However, there are downfalls to this as well. Remember the old saying "You get what you pay for"! Many of the budget server providers provide services for cheap because they cut corners on their network and/or support. Since you need this for your business, I assume you need it to be online all the time. When shopping around, be sure to check their uptime guarantee, are they a re-seller, or do they own their own hardware, how redundant is their network and do they have a single point of failure anywhere. Then you want to ask about, and test their support. Is it truly 24-7? What are their response times like? If your server goes down at 2am on a Saturday morning, how long will it take to get support? Many providers like OVH, Dacentec, etc will simply say "Yea, our router went down. we're replacing it and will be back online in a couple hours" or "Oh well we can still ping the server, so the rest is your problem"
If you need reliability, and have a decent budget, staying away from budget providers will save you a lot of headache in the long run! Why are you against shared servers? Some shared web hosting companies are very reliable. If you're not expecting too much traffic - you're basically wasting money - as you most definitely don't need a dedicated server. I have to agree with Localnode here, in reality there is no real reason to get a dedicated server unless you have the traffic to back it. Shared Hosting, depending on the provider (Non-EIG) can provide great performance... Just don't go with any of the "big" names. Actully costing os dedicated server totally depends upon the configuration you need, basically the cost of dedicated hosting starts from EUR 75 to EUR 150 in which HDD, RAM , port may vary depending on your need you can place the order for your dedicated server. I agree as well, if you're not expecting a high volum of traffic, shared hosting will be quiet find. You'll save a lot of money, dedicated hosting are used for popular high level traffic site like Facebook, Twitter, Amazon and ebay. Dedicated hosting can cost you up to $1500Usd monthly or more. You don't need to be anywhere near in popularity to Facebook, Twitter, Amazon and eBay to require a dedicated server. Whether you should opt for shared hosting, a VPS or dedicated server depends pretty much on the amount of resources you require. I've seen some low end dedicated servers leasing from $5 to $10 per month (old hardware and no support) to high end servers costing hundreds of dollars. On average, I'd put the cost of a quality dedicated server in the $100 to $200 range. You will find managed servers more costing than Un-managed servers. Are you looking for managed Dedicated server or Un-managed Dedicated server? There are certian points which I want to focus on as per your post. 1. Since your requirement is not that heavy you should only go for shared hosting or wordpress hosting in case your website are wordpress based. 2. General concensus against shared hosting is only against those ultra cheap shared hosting which oversell to keep prices low and still make profit. So logic says, dont boycott shared hosting, boycot ultra cheap hosting. 3. Dedicated Servers should only be opted for when your requirements are huge. So the bottomline is, be ready to loosen your pockets a little bit and focus on the configuration. Check the RAM, CPU, Bandwidth, I/O in the shared hosting and you will have a great experience. It all depends on your requirements and preferences, you can go with a LowEnd provider and get something close to no support and pay real low price, most LowEnd dedis tend to go from $15-30$, and then outsource support and management which will cost you big time. Or you can go with a reliable provider pay all in one, $70-$500 and get the service your looking for and get taken care of. I would suggest you rethink the shared hosting, or atleast consider a VPS, because starting with a dedicated server when you don't need it will be a big waste of funds. Some providers offer packages starting at $80 a month, but those are usually older model servers being sold cheap to keep them in service. Most entry level servers start at around $149 a month and can go up to $400 depending on how many extras you add. Your looking at $150+ for a budget low end server and up to $1000+ for a high end server. And you're probably better going with managed unless you have a IT server guy. Because it's very easy to mess up a server if you don't know what you're doing. And your server provider is going to charge $50+ to reload the OS! If your provider charge you to reload the OS, just look for another one. There are several unmanaged dedicated servers available from $50, with a control panel to reinstall your server when you want without any extra fees. If you are going to pay more than 200$/mo for a server, look for a freelancer to setup your server and provide you support when needed. 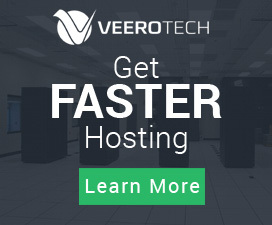 Since you are just starting your business than shared hosting will be a great option for you. You may later upgrade your hosting to VPS or dedicated server if you need more space and bandwidth. Otherwise shared hosting works great. There are many good shared hosting providers like Siteground, Dreamhost, Inmotionhosting etc. A decent dedicated server may cost $200-$1000 per month. But as you are saying that you don't have much traffic, you can go for a VPS. Everything will be under your control and cost will be reduced enough.